We are proud to offer the collection of timeless Garden furniture, the Belgian Pearls collection, developed in collaboration of Greet Lefèvre and Defleure. A classic dinner seat and a wonderfully comfortable lounge chair. Custom made cushions in Belgian Linen are available. 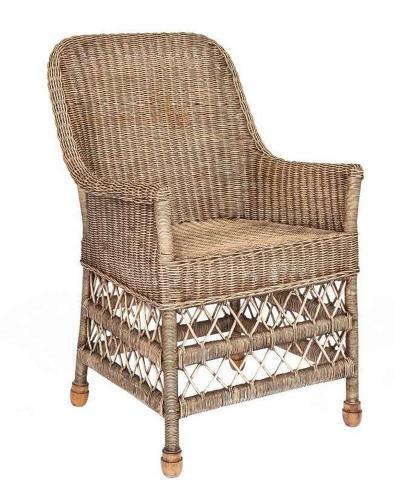 Rattan can be ordered in four finishes. OVERALLL HEIGHT 100 cm SEAT HEIGHT 49 cm OVERALL HEIGHT 39.37 " SEAT HEIGHT 19.29 "
ARMREST HEIGHT 65 cm ARMREST HEIGHT 25.59 "
DEPTH 63 cm DEPTH 24.8 "
WIDTH 63 cm WIDTH 24.8 "
Cushions- seperate seat and back or "the long Cushion"
THE MIMI CHAIR LONG CUSHIONS ARE AVAILABLE IN many other fabrics.